In his never ending quest to convince people that conservatives are always right and liberals are always wrong, John Hinderaker takes the next step. He now wants us to believe that they are also morally superior. I have been somewhat frustrated over the years that conservatives (conservative politicians, anyway) have tended to make the case for free enterprise and limited government almost entirely in prudential terms: we’re for it because it promotes economic growth. Conservative economic policies don’t just create more wealth than socialism or liberalism, they are morally superior to socialism and liberalism. As I wrote in Class War Already In Progress, the US has been pursuing conservative economic policies for the last 30+ years. The result has been record middle class debt, a growing percentage of uninsured Americans, near-record income inequality and the worst recession since the Great Depression. Doesn’t sound like a morally superior system to me. 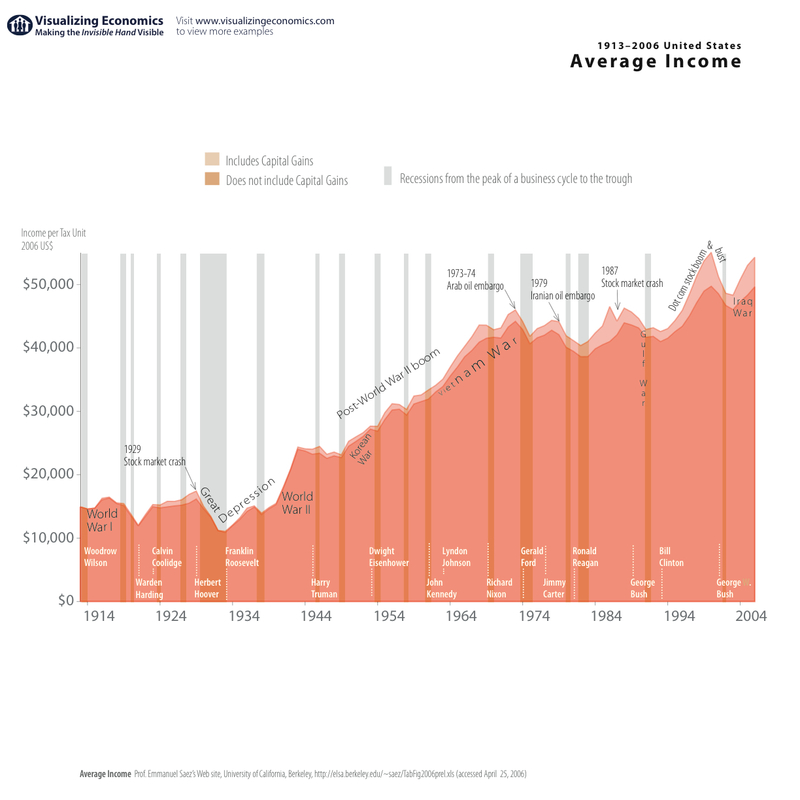 Compare recent income gains with the 1950’s and 1960’s – a time of much more liberal economic policies. Can you spot the moral superiority? As usual, Hinderaker simply states his opinions as fact without ever backing up his claims with data. In this case, the data clearly demonstrate that conservative economic policies are not morally superior. Cool post – I like the data and presentation.